The ensemble cast is the highlight of the entire film. The production took place in Oahu, Hawaii. It is directed by J.C. Chandor, whose most notable work was 2014’s “A Most Violent Year.” So, how was the film? Is it another hit for Netflix? Let’s talk about it. 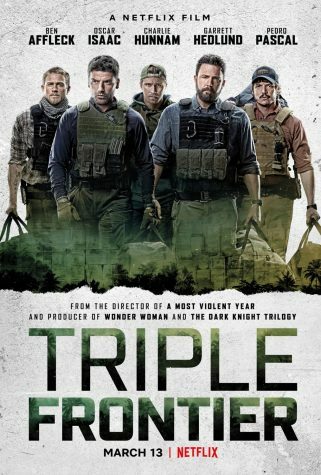 “Triple Frontier” follows a group of former special forces operatives, who plan a heist on a high ranked drug lord in South America. When the operation becomes more dangerous, the group gets tested to their limits; both physically and mentally. From watching the trailer and from hearing previous reports about the project, I didn’t know how to feel going in. Originally, director Kathryn Bigelow was going to helm the project with Tom Hanks and Johnny Depp in talks to be the stars. She ultimately left to go work on what would become 2017’s “Detroit.” Now, after seeing the final product, I can honestly say I walked out feeling very satisfied. 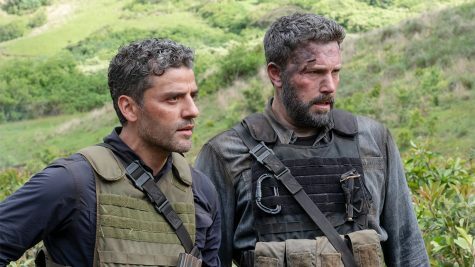 Oscar Isaac and Ben Affleck lead the team into a dangerous heist mission. The original leads were initially going to be Tom Hanks and Johnny Depp. The biggest positive the film earns is from its ensemble cast. It is very well balanced and each character plays off well with one another. Everyone was given equal time to showcase themselves and none of them felt out of place. Each character felt naturally woven into the group. The standouts of the group were Oscar Isaac and Ben Affleck. Both of their characters are given the most amount of development and the performances from both worked great; particularly from Isaac. The action is very engaging and felt grounded and realistic. The narrative, just like its action, is also very engaging and is fun to watch play out. Its narrative is meant to entertain and not meant to hit somewhere deeper. Mark Boal serves as the screenwriter for this film. His most notable works were “The Hurt Locker” and “Zero Dark Thirty” which were both directed by Kathryn Bigelow, who was originally planned to direct this piece. The other positive that I’ve noticed, many haven’t addressed, is the themes that the film touches on. The theme of inner greed is one I haven’t seen touched recently, and I appreciate that they chose to touch on something that works and adds in the world they have established. Of course, no film is perfect and this has one glaring issue. That issue is character development. There is a huge lack of development for the majority of the group. Besides Isaac and Affleck, all of the other characters are very underdeveloped and don’t hold a lot of weight as a result. The performances were solid across the board; it’s the lack of development that was holding it back from becoming a more intense ride for the viewer. Also, the narrative is mostly very painted by numbers. It plays with an interesting theme but doesn’t have any surprises or elements to add to it with the exception for one twist that is seen towards the end. 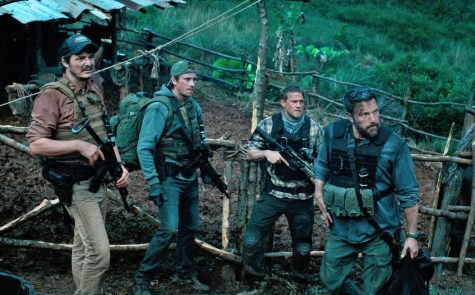 “Triple Frontier” is a fun and entertaining heist. Its ensemble cast is what keeps the viewer engaged throughout coupled with grounded action and a pleasing if paint by numbers narrative. If you’re looking for something to binge this weekend, this might just do the trick. I really liked this movie. Good plot, good characters, no unnecessary overly dramatic music. Very good all around.